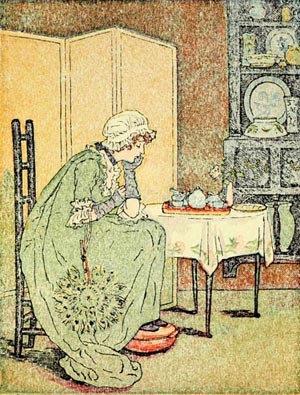 The nursery rhyme ‘Crosspatch, draw the latch’ uses the word “crosspatch” to describe a peevish person. The rhyme is a directive. In today’s language, we might say: OK grumpy! Go sit down, do something useful, then take a break! The origins of this, and many familiar nursery rhymes, can be found at the British Web site: Nursery Rhymes – Lyrics, Origins and History! This admonition for the “crosspatch” in all of us is particularly helpful when trying to decide what to do in the garden come spring, particularly which edibles you want to grow. Sitting by the fire in the clutch of winter is a good time to sort out what you’d like to eat in the heat of summer. If gray skies – rain and snow—make you cross, turn to seed and plant catalogs to remind yourself that seasons are temporary. There are some beautiful catalogs to start your musing. 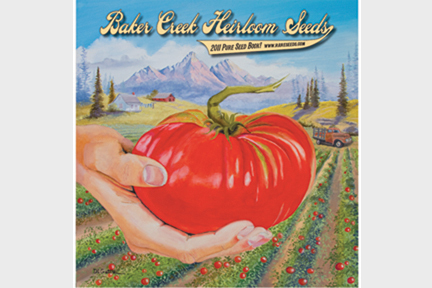 Try Baker Creek Heirloom Seeds, owned by the Gettle family, with a beautiful story in Petaluma, California, if reading about seeds isn’t enough. It’s worth a visit to The Seed Bank where you’ll find loads of inspiration. Locals and international visitors alike flock to the store for rare and unusual seeds. Our heirloom tomatoes last year, grown from Baker Creek seeds, were outstanding. Or, ask different people what to plant, they’ll offer different advice. Some will say: grow what you cannot find in the market or what seems too expensive. My advice is grow what you like to eat, the things that grace your favorite recipes and delight your taste buds. Even if it is available in the market, there’s so much satisfaction in picking at the proper moment, not to mention the freshness and convenience of food available a few steps from your kitchen. • Tomatoes – There are too many varieties, too many plant shapes to go into here. That’s were the seed books come in handy. In the Sacramento Valley where I live, tomatoes practically grow wild, swear. Getting this hearty vegetable to flower and fruit here is a no-brainer, but that’s not true everywhere. Consider attractive containers and ladders for decorative garden design touches. 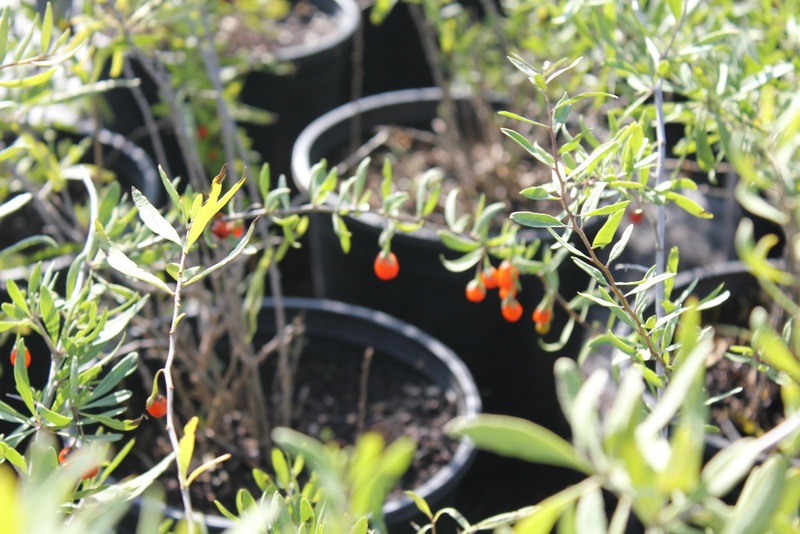 ﻿ • Goji berries — This Himalayan native grows on an attractive perennial shrub. The small fruit is highly nutritious and tasty. For their weight—a daily serving is only 10 to 30 grams—gogi berries have more vitamin C than oranges, more beta carotene than carrots and more iron than steak. • Take your time—that saves energy and money later. Don’t get sucked into impulse buying at your local nursery. Everything looks good in spring. Better to sit by a winter fire planning than squander gardening dollars later. • Choose plants that thrive in your location—consider climate, soil and watering needs. 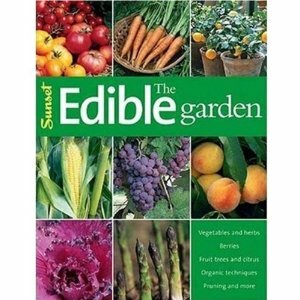 • Plan your edible garden as part of a permanent installation, interspersing what’s good to eat with what looks good in the garden. 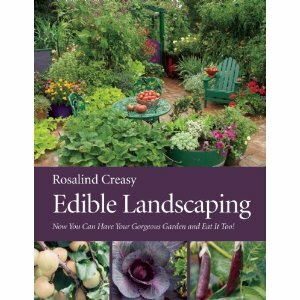 Consider edible plants that can make a visual contribution year round. • Get out the compass. Knowing whether your garden faces north, south, east or west affects your design and should help guide plant choices, as does knowing which way the wind blows. • Check your soil pH. There are several low-cost ways to do a test. Do a quick online search for pH soil tests. I instantly found a half dozen methods. Some plants grow well in acid soil, some like it alkaline. It helps to know what kind you have. • Plant for your soil type. I’ve got clay, which holds water and nutrients well. But it slumps with too much water and needs to be turned to allow air circulation. Sandy soil doesn’t hold nutrients efficiently and boosters need to be added, but easy does it with the fertilizers. • Improve your soil. This takes a lifetime, so go slow and steady to get it right. • Trim more mature, vigorous perennials to balance competition for water, nutrients and sunlight, as well as improve beauty. • Look at what you have and what grows well. Count your blessings and fill in the gaps with goodness for your table. ﻿﻿﻿ Fresh rose hips make an easy but delicious jelly. Available from gourmet shops, you can easily make your own. 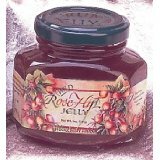 Pectin, a thickening agent, should be available wherever canning supplies are sold, usually at most major grocery stores. Recipe Source: Native Indian Wild Game, Fish and Wild Foods Cookbook Edited by David Hunt (Fox Chapel Pub. )Reprinted with permission. I love your blog. Lots of great stuff here. It was great meeting you the other day at the BookDoctor's seminar!